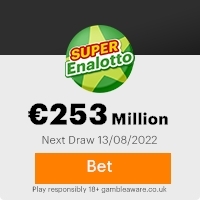 This is to inform you that you have won a prize money of Two Million Two Hundred and Fifty Thousand United States Dollars Only($2,250,000.00) for the month of October 2007 Lottery promotion which is organized by YAHOO/MSN LOTTERY INC & WINDOWS LIVE. YAHOO/MSN & MICROSOFT WINDOWS, collects all the email addresses of the people that are active online, among the millions that subscribed to Yahoo and Hotmail we only select five people every Month as our winners through electronic balloting System without the winner applying,we congratulate you for being one of the people selected. You are to contact the events manager on or before your date of Claim, Winners Shall be paid in accordance with his/her Settlement Centre. Yahoo/Msn Lottery Prize must be claimed no later than 10 days from date of Draw Notification after the Draw date in which Prize has won. Any prize not claimed within this period will be forfeited. These numbers fall within your Location file, you are requested to contact the events manager, send your winning identification numbers to him,to enable him verify your claims.However you will have to fill and submit this form to the events manager for verification & direction on how you can claim your winning fund. Make distant family not so distant with Windows Vista® + Windows Live™. Start now! Previous: Microsoft Lottery CorporationFresh ScamsNext: Your E-mail Address Ha ... rize. This Email with the Subject "Yahoo/Msn Lottery" was received in one of Scamdex's honeypot email accounts on Tue, 08 Jan 2008 23:35:30 -0800 and has been classified as a Generic Scam Email. The sender shows as claimslogistic pp <claimslogisticpp_2@hotmail.com>, although that address was probably spoofed. We recommend that you do not attempt to contact any persons or organizations referenced in this email, as you may expose yourself to scammers and, at the very least, you will be added to their email address lists for spam purposes.